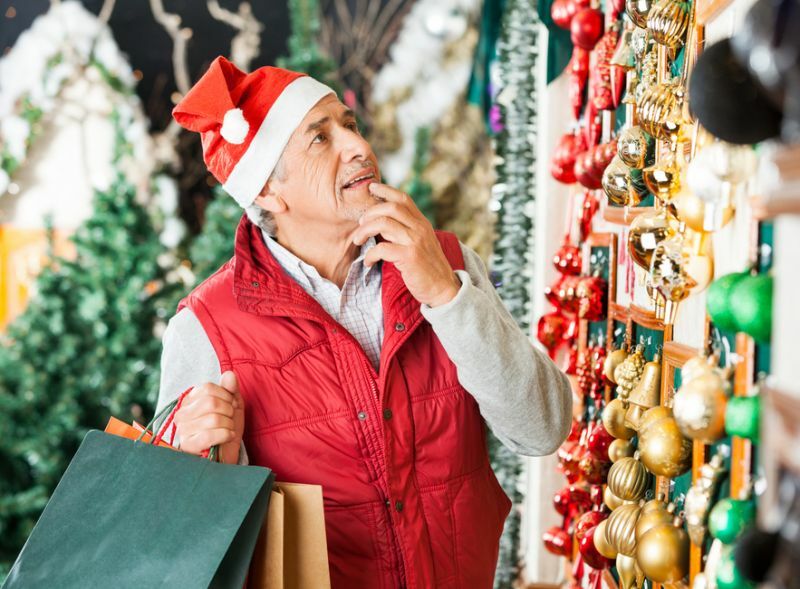 As the holiday season rapidly approaches, having a sense of some affordable gifts is a great place to start your shopping list. Below is a list of options that cost less than $50. Some of them are almost certainly wanted by someone on your “nice list” this year. This tablet from Amazon gives you functionality beyond that of an e-reader for a great price. Amazon is so confident in the experience their devices provide that they are priced below many competitors without giving up features. Offering a balance between portability and sound quality, these headphones offer great sound with less bulk than some other options. In this price segment, these are hard to beat. These in-ear sports headphones offer some noise reduction and plenty of quality for exercise. While they are not as clear as larger options, gym-goers will appreciate the lack of heft. In a gorgeous bottle that will make a great present, this uncommon tequila is clear, smooth and a special treat for the tequila aficionado. Not available at all stores, this will take some shopping but be worth the effort. As the world of streaming video continues to challenge the way that most get their home entertainment, this affordable option from Roku provides function and features for minimal money. Competition in the sector has kept prices down. This ultra-sleek sport watch provides all of the top features at a fraction of the price. It is compatible with multiple operating systems and will give you a great start on pre- and post-holiday exercise. This Islay scotch will appeal to those who like a peaty single malt. Staying under $50 for this quality of scotch makes this a special bottle. These over-ear headphones are less expensive than most similarly designed options and yet still provide excellent sound quality. While not super portable, the noise reduction of audio range will be appreciated by those who value sound quality. #26. Polk Audio Swimmer Jr. These Bluetooth headphones are designed for those who want to take their music with them in the pool. Providing the type of music experience land-based gym-goers expect, these are a unique gift for the swimmers in our life. This very affordable quadcopter may take some getting used to before you can navigate it with ease, but it is one of the best priced drones on the market. Offering its own remote control, there are no smartphone apps to trip you up with this choice. This clip-style fitness tracker works by being clipped onto your clothing. With a 182-day battery life, this is a truly hassle-free option with full functionality. This is Amazon’s “stick” entry into the streaming media segment. Noteworthy here is the device’s ability to play media from internal storage as well as from networked options. This hexacopter comes with an independent remote control and is often considered for use by film and photography buffs. As one of the cheaper drones on the market, it offers a lot of function for the cost. This very affordable wrist-worn fitness tracker offers an impressive 121-day battery life. While not as feature-packed as some far more expensive options, the LED display does what you need without a significant investment. This small, portable speaker offers both corded and Bluetooth options. While wireless speakers demand a sacrifice in sound quality, this “travel” version of the Divoom Voombox gives a lot of sound for its size. This clip-style wireless speaker offers good sound quality for its size. Despite relying on Bluetooth v3.0+, JBL lives up to its reputation for sound quality. These portable sports headphones are well reviewed with high marks at each end of the frequency range. Solid bass and upper pitch ranges mean they should be a great addition to any trip to the gym. This portable speaker uses the latest version of Bluetooth technology, but is on the lower end of the wattage range. This means you will likely get good sound quality but have less battery life and power than with more pricey options. Google’s entry into streaming media functions with the usual efficiency of all of their products. While Chromecast lacks some features of more expensive versions, this product just works and is built to last. The recent upgrades make it faster, but not drastically more feature intensive. This version of Google’s streaming device is specifically targeted at music providing functionality to enhance the audio experience. Like all Google products, this one works well. This quadcopter drone may take some learning to fly, but at this price point, it is a great value. Learning on a less expensive model before upgrading is also a great way to gauge your interest. This quality aged tequila offers a subtle yet complex flavor profile. It is a perfect gift for both the connoisseur and the novice aficionado. This premium gin from one of the most-trusted names in the industry is made exclusively from hand-picked fruits and botanicals to assure the highest quality. While not offering the bass range of larger, over-ear headphones, this set provides far better sound quality than standard ear buds at an attractive price. This pear brandy, known as eau de vie because it is made from a fruit other than a grape, is a subtle and delicate spirit that offers a holiday twist on the traditional. While not purely mainstream, the adventurous bartenders on your list should particularly appreciate this addition. The makers of Bulleit Bourdon have introduced this 95 percent rye grain whiskey to their offerings. Particularly as craft cocktails push further into the mainstream, a quality bottle of Rye is a must-have for a well-stocked bar. On the low-end of the flight time and payload capability for quadcopter drones, this option is one of the most cost effective and allows you to get the experience for a low entry price. While its abilities are limited, this drone is a great place to start and save. This is a great beginners’ option in the quadcopter drone space. While this model offers limited flight time per charge, it is compact and affordable for those wishing to try out drones. Aged in small oak barrels, this rum offers a complex flavor meant to be reflective of the makers’ tropical climate and small batch approach to fine spirits. As one of the least expensive Bluetooth speakers available, you will give up battery capacity and a wired option with this model. At the low end of the price spectrum, however, this is a great option for portable sound. While this fitness tracker is generally not rated as well as pricier alternatives, this is a great option for those still determining if a tracker is for them. At this price level, you can give fitness trackers a shot without spending too much. This fitness tracker boasts an incredible 30-day battery life and still costs far less than most similar products in its segment. With an LED wrist display, this is a full feature fitness band. While this rye vodka prices as a budget bottle, it has won awards and should be considered of higher quality than its price suggests. Ultimately, this vodka can be considered a find for its segment and makes a great gift as you introduce the recipient to a hidden gem. While harder to use than some alternatives, this is a low-cost fitness tracker that’s a great entry-level option to consider. Before committing to a more expensive model, give fitness trackers a try with the Pivotal Tracker 1.